You Are Here: Home > What is the Difference between Kelley Blue Book® and Black Book® Prices? What is the Difference between Kelley Blue Book® and Black Book® Prices? When you’re on the hunt for your next Pre-Owned car, you need to do your research. One of the most important things you’ll want to investigate is the price and value of the Pre-Owned vehicles you like. Thankfully, this part of your research will be easy with several different sources at your disposal including Kelley Blue Book® and Black Book®. 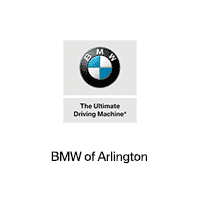 Below, we at BMW of Arlington will go over the key differences between these two sources and how the information they provide can help you on your car-buying journey. Let’s get started! Both Kelley Blue Book® and Black Book® prices are reliable when considering the value of your next Pre-Owned car. However, there is one key difference between them and that’s where the values that they provide to you come from. Kelley Blue Book® prices come from consumer-driven data. This means that the Kelley Blue Book® prices you see for Pre-Owned vehicle are generated based on the reviews and evaluations made about the vehicle from real customers and consumers. Black Book® prices, on the other hand, are created based on various types of official data. This data is collected from a variety of data collection sources across the country including vehicle auctions, retail pricing sources, and private party resale valuation data collection agencies. Because the information for these two valuations come from completely different sources, the value for one single vehicle can differ when comparing the Kelley Blue Book® and Black Book® prices. The use of Kelley Blue Book® prices began when a car dealership owner named Les Kelley began creating a list of Pre-Owned cars he wanted to purchase from neighboring dealers, according to the Kelley Blue Book® website. These Pre-Owned car valuations were first picked up by banks and insurance agencies but soon grew popular with the general public. Today, Kelley Blue Book® prices are commonly Pre-Owned by shoppers across the country who also contribute to these valuations by posting their own reviews and the like. Soon after the foundation of Kelley Blue Book® valuations, Black Book® prices came along as a way for dealerships and other Pre-Owned car vendors to fairly value their inventory. However, Black Book® pricing can also be a good resource for Pre-Owned car buyers because it gives perspective to the market especially when comparing it to the Kelley Blue Book® price for a specific vehicle. Contrary to Kelley Blue Book® prices, Black Book® prices are estimated using official data that derives from the salesman’s end of the Pre-Owned car-buying process. Dealers, vendors, lenders, and the like contribute data like consumers contribute reviews for Kelley Blue Books®. We at BMW of Arlington hope this guide to Kelley Blue Book® and Black Book® prices gave you all the information you need to start your Pre-Owned-car-buying journey. Drivers in Arlington, Dallas, and Fort Worth who still have questions should give us a call today!